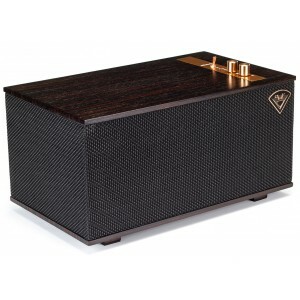 Impressive one box speaker system featuring Bluetooth, USB/RCA inputs and a luxurious retro design with real wood finishings. Earn 445 loyalty points when you order this item. 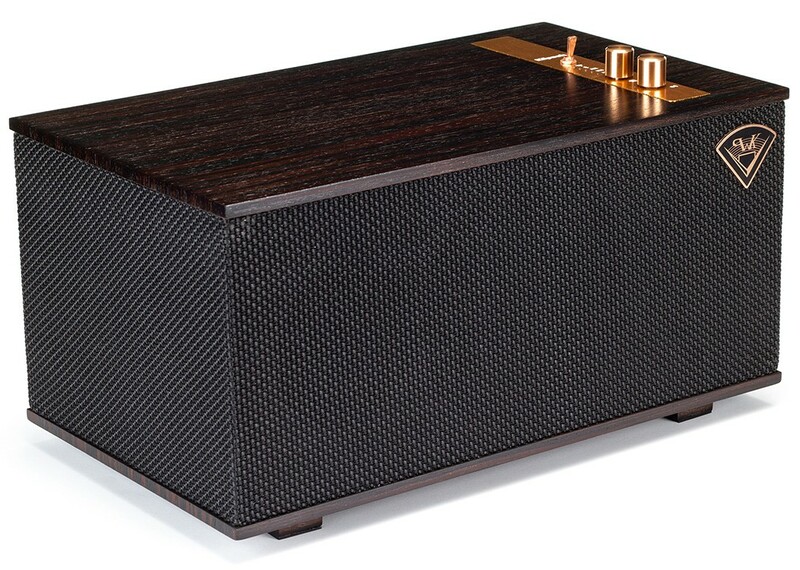 Klipsch Heritage The Three Wireless Speaker System incorporates luxury materials such as real wood veneer and tactile spun copper switches and knobs, while merging the acoustics and classic design legacy of Paul W. Klipsch with the latest technologies. 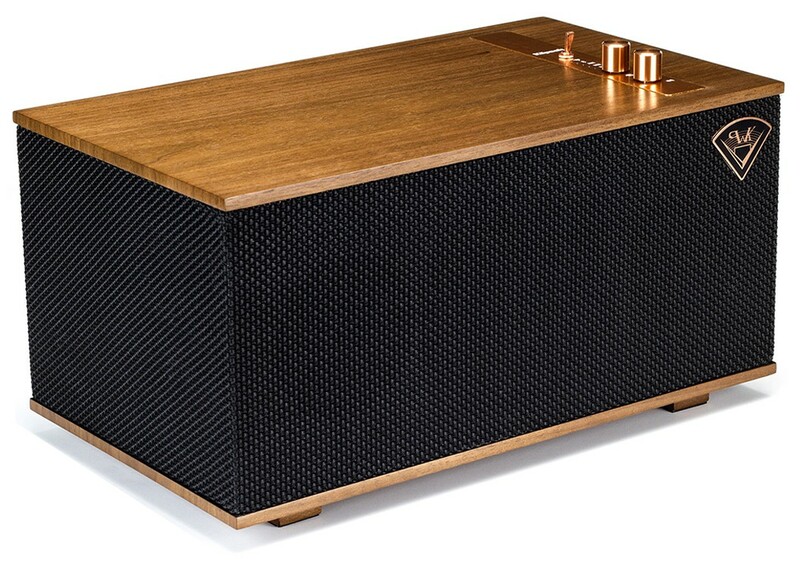 The Three tabletop stereo system uses the high-resolution 192kHz/24-bit codec for lossless reproduction of your music from your computer. With two 2.25” full range drivers and a 5.25” long-throw woofer, which are bi-amplified for high-quality audio reproduction. 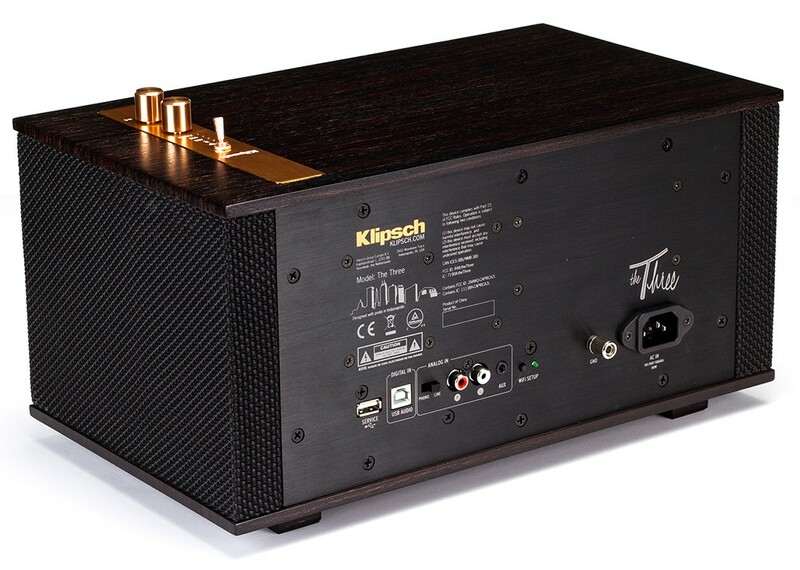 Plus the drivers have been tuned by Klipsch acousticians to deliver a premium audio experience and enhanced bass reflex. The Three includes wireless connection, as well as Bluetooth, an Analog input, a 3.5mm miniplug, a Phono Pre-Amp, and a USB Type B input. So whatever the source, the Three tabletop stereo will have an input method for you. You can easily connect your turntable, a PC computer, a CD player, even a smartphone, or tablet and enjoy a superior stereo sound from a beautifully crafted tabletop stereo system. 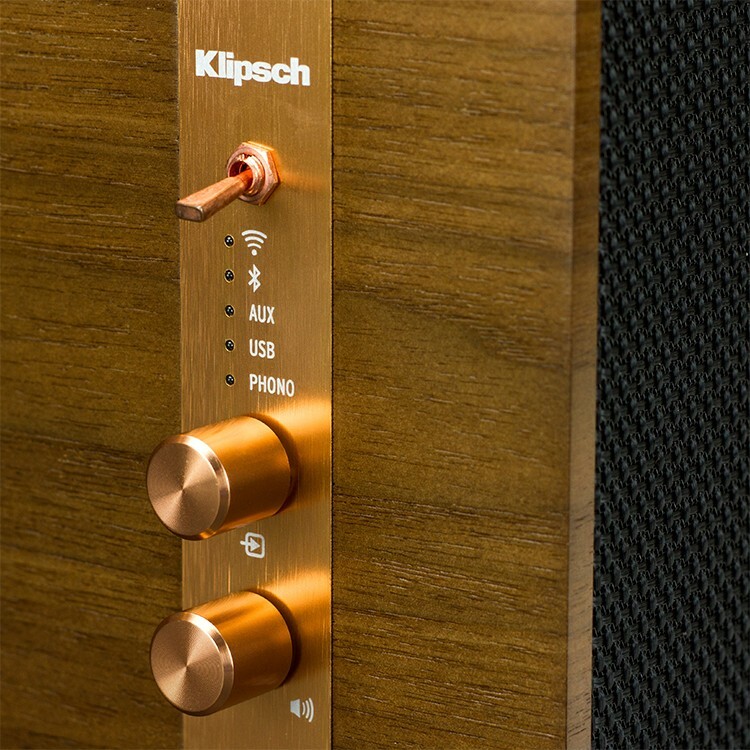 For control of the Three Klipsch have ensured versatility, so even if you have left your smartphone in another room, you can control all your Klipsch Stream devices from an Android or Apple watch.